Generally speaking, cultural requirements are less “demanding” for lepidote (small-leaf) rhododendron and azaleas, both evergreen and deciduous. They tolerate, and to some extent require, more sun than elepidotes, and azaleas will also tolerate less well-drained soil. In all other respects, the general guidelines outlined above apply to all plants in this family. Well-drained soil is a must. Use raised beds to plant on top of poorly drained soils. Ideally, soil should be acid (ph 4.5 – 6.0) and high in organic matter. Pine bark, coarse sphagnum peat moss, composted wood chips and other such materials can be worked into the soil to improve organic matter content and soil drainage. Incorporate a few handfuls of super phosphate (0-20-0) in the mix to stimulate root growth. Container plant root balls must be sufficiently disturbed so that roots extend out from the ball. The planting hole should be wide but shallow. 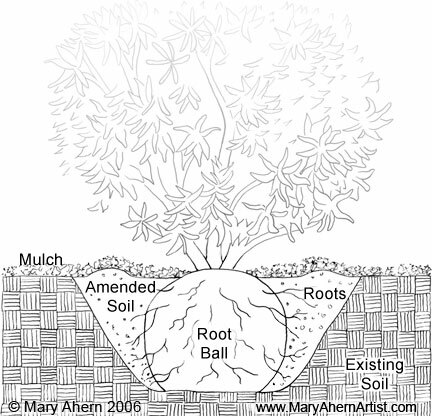 Loosen and amend soil only 8 – 10 ” deep so that the root ball sits on solid ground to prevent sinking. Plant only as deep as the top of the root ball with no soil on top of the ball. Do not pack soil tightly around the plant, as tender roots will be destroyed. Mulch 3″ deep and water thoroughly. 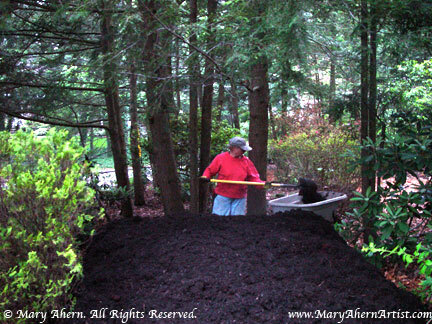 Mulch with 3″ of pine bark, pine needles, oak leaves, composted wood chips or other loose airy material. Do not use maple leaves, grass clippings or other materials that pack down. If plants hold good green color and grow well, no fertilizer is needed. Rhododendrons are not heavy “feeders”. A soil test can determine what elements are deficient if plants do not perform well. When necessary, apply a fertilizer formulated for acid loving plants in late winter or early spring. Don’t fertilize after June 1st. Proper watering is an important after care practice, especially for the first several years as plants become established. Keep the soil moist but not wet. Water deeply, (apply 1″) in the absence of equivalent rainfall. Don’t water again until the soil starts to dry out. Afternoon wilting of new growth is normal. If leaves become turgid a few hours after sundown, no additional water is needed. Water requirements diminish in late summer and early fall as new growth hardens up for winter. 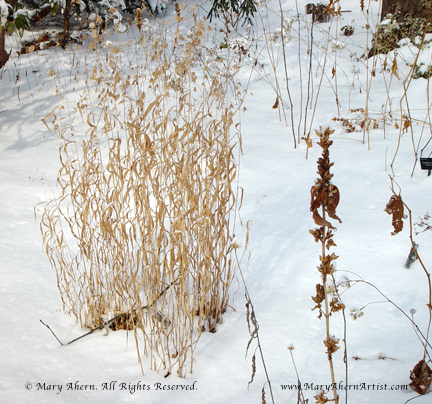 Plants should, however, be watered going into winter following a dry fall.